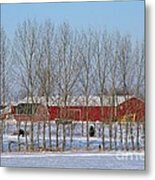 Queen duvet cover (88" x 88") featuring the image "Winter Tree Line" by Ann Horn. Our soft microfiber duvet covers are hand sewn and include a hidden zipper for easy washing and assembly. Your selected image is printed on the top surface with a soft white surface underneath. All duvet covers are machine washable with cold water and a mild detergent. Many thanks for your kind comment, Marian. Jan, thank you for featuring Winter Tree Line in the Snow-Ice-Frost Including Mountain Tops group. Many thanks for your kind comment, Kerstin. Many thanks for your kind response, Rui. Glad you like this. 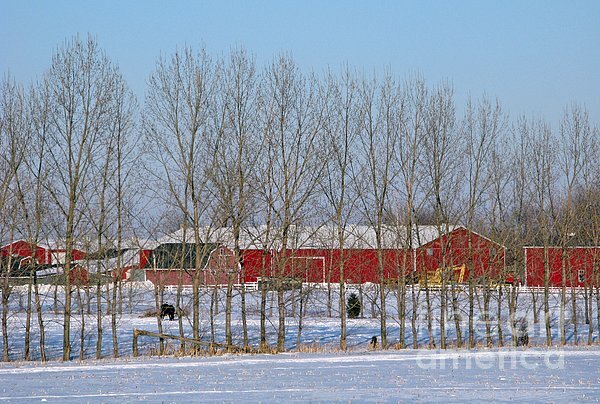 Dora, many thanks for featuring Winter Tree Line in the Winter Wonderland group. 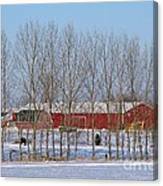 Ayse, many thanks for featuring Winter Tree Line in the Spirit of Art group. 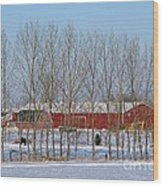 Robert, many thanks for featuring Winter Tree Line in the Nature Photography group. Thank you very much for your kind and affirming words, Sandra. Appreciated as always. What a wonderful image Ann. I love the composition! A picturesque winter farm image- like everything about it, Ann! Stumbled. Wonderful Ann!! This really looks like home!! Terrific red!! Beautifully composed ... love the contrast of the red Ann! 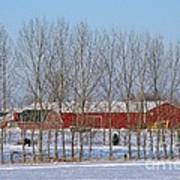 A line of leafless trees lightly screens red farm buildings from sight and winter wind near Leamington, Ontario., Canada. Copyright 2009 Ann Horn. ALL RIGHTS RESERVED. This copyrighted image does not belong to the public domain and may not be reproduced, copied, altered or manipulated in any way without the written permission of Ann Horn. ann-horn.pixels.com. pixels.com Group Features: Snow-Ice-Frost Including Mountain Tops. Winter Wonderland. Spirit of Art. Nature Photography.